Holistic Bio Spa is honored to have our wonderful Jaqui Karr back to tell us everything she knows about Blood Chelation Therapy at The Holistic Bio Spa and the benefits of this holistic treatment. I was 4. Too young to go to school and in church a lot because my Mom was the soprano in the choir, so by default, used to help with all the events. She had a habit that I never saw any of the other ladies do: every time we’d step into a church, she would pray. Not a prayer for family and friends like everyone else, but one for people she didn’t know (and she paused after every little line for me to repeat too). Of the thousand questions, I asked her as a kid; this one is the one that really made me wonder the most. Who were all these sick people? What kind of sicknesses? Would our prayers really help? Over 4 decades later, I have learned that sometimes the body has gotten too sick to heal all by itself and praying isn’t enough. In some of those cases, Blood Chelation Therapy can help. 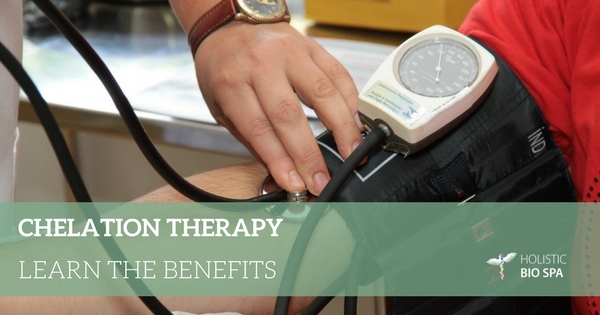 How can Blood Chelation Therapy help you? Eat a lot of fish? Have had metal fillings in your teeth? There’s a really good chance your blood is high in metals, which causes a lot of “mystery symptoms” like depression. I call them “mystery” because while they are very real to you, your doctor is usually mystified. They tell you that your tests are normal and you’re fine. Except you’re not fine. You can feel it. Your energy is down. Focus is off. Mood is not good. Chronically tired. They probably never tested for metals. All those symptoms (and more) happen when the body is busy dealing with a high level of toxins. It’s busy fighting off bad stuff, so it doesn’t have much energy left for anything else. I’ve been there. It’s not fun. And even less fun was 5 different doctors telling me “Well, you’re not 20 anymore”. Trust me, at any age; you should be feeling great. We are naturally designed to always feel great. But our toxic world gets in the way. I’m focusing on metals because the other elements are usually known to the person. If you have heart disease or a hardening of the arteries, you probably know it, but your doctor simply didn’t suggest blood chelation. You might notice I’m not my usual self in this article. I tried to be. I can’t on this topic. I can’t because I think of all the people I have met over the years who lost so much of their life due to toxification and the solution was right there all along: chelation therapy. Kids that got labeled as Autistic when all they needed was a better diet and detox from the metals they got hit with while being vaccinated. I’ve watched kids that were pinned as retarded do a complete turnaround within a month of clearing metals from their system and removing foods they were allergic to. They suddenly are smart and playful and can go to normal school and have a normal life. It really upsets me that there is a handful we are saving, and millions we are sacrificing – young and old. Is Blood Chelation Therapy safe? Yes, it is safe, there is a particular protocol they follow. Over 100 million patients have received 10 million treatments. In the decade they have been keeping track, there isn’t 1 case of death. I can’t say the same for standard hospitals who lose hundreds of thousands of people every year from prescription medication alone, never mind complications from surgery. Leg pain when walking, chest pain, abnormal color in the feet, memory failing. If your family has a history of heart disease, don’t wait for the 911 call. Chelation is not just about cleaning up metals and plaque – that’s half the story. The other half is that it increases essential minerals like magnesium and potassium. 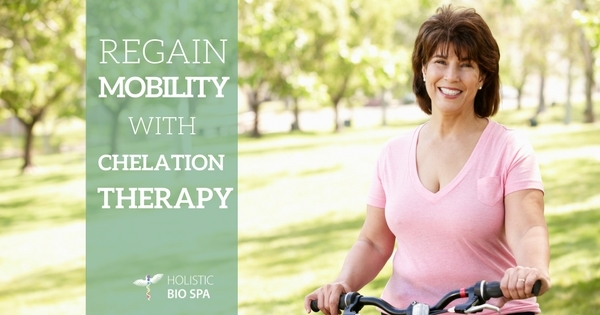 Chelation Therapy also improves cell function and enzyme systems. It’s the boost you might have been wishing for but didn’t know where to find. Obviously, this is a very serious topic, and I don’t suggest you use this (or any) article to make any decisions. But if any of the above rings true for you, then I suggest you see Zoli at Holistic Bio Spa for a proper consultation. He’s a Naturopathic Doctor with decades of experience and will be able to guide you and answer all your questions, specific to your case. I will continue sending out a prayer for anyone who needs it; that habit my Mom taught me stayed with me. But now I also pray that people don’t quit on themselves and that they research alternative therapies that might help them return to the healthy vibrant life we all should live. It’s our birthright. Jaqui Karr is a successful, media-featured Certified Sports Nutritionist, Certified Vegan/Vegetarian Dietitian on a quest to help millions looking for a better lifestyle find the diet they need to support a healthy way of living. Visit her website for a diet plan flexible to you! View our Mexico medical tourism recommendations for Puerto Vallarta. The Holistic Bio Spa is located in Plaza Marina, Local B-10.